Stabbed in the chest and left for dead, a doctor turns the tables on a gang of home invaders. The opening act of Edge of Fear, director Bobby Roth and writers Scott Barkan, Gregg Zehentner and Daxing Zhang’s thoroughly enjoyable action thriller, brazenly ups the ante of the home invasion genre. Sweet Chinese couple Laura (Zhu Zhu) and Patrick Chen (Shen Lin) are vacationing in the American boondocks when a cortege of on-the-lam lowlifes pervade their charming log cabin. The troublemakers stab poor old Patrick in the heart and, for good measure, throw him out of the window, all the better to make unseemly overtures toward his exceptionally pretty wife. Thing is though, Patrick may be down but he’s not out: the knife in his chest is plugging his wound, and, unbeknownst to the baddies, Patrick is a doctor, too. Can our mild-mannered physician heal thyself, take on the ways of the wild and hunt down this violent bunch of dicks who have spoiled his holiday, killed his best mate and are currently threatening to sexually assault his wife? No spoilers, but I was cheering homeboy along all the way, and you will be too. After an incongruous prologue set in Shanghai (which ostensibly sets up Patrick and Laura’s against the odds medical skills, but which is probably only there to appease Chinese investment), the fun starts in earnest with a cast list immediately identifiable to fans of one of the world’s best ever telly shows: Prison Break. No, there’s no Wentworth Miller (one of the world’s most gorgeous ever men), or poor old Sarah Wayne Callis’ Tancredi, but there is Amaury Nolasco (Sucre! ), Rockmond Dunbar (C-Note! ), Jodi Lyn O'Keefe (Gretchen - who was something to do with The Company in the later series, I think!) and, the daddy of them all, nonce-with-a-heart T-Bag (played, of course, by Robert Knepper). On top of all this, it turns out that Roth, a veteran of television, did a stint on Prison Break too, and, just to take the piss, the film proper opens on a bus transporting a cargo of incarcerated men to the big house. 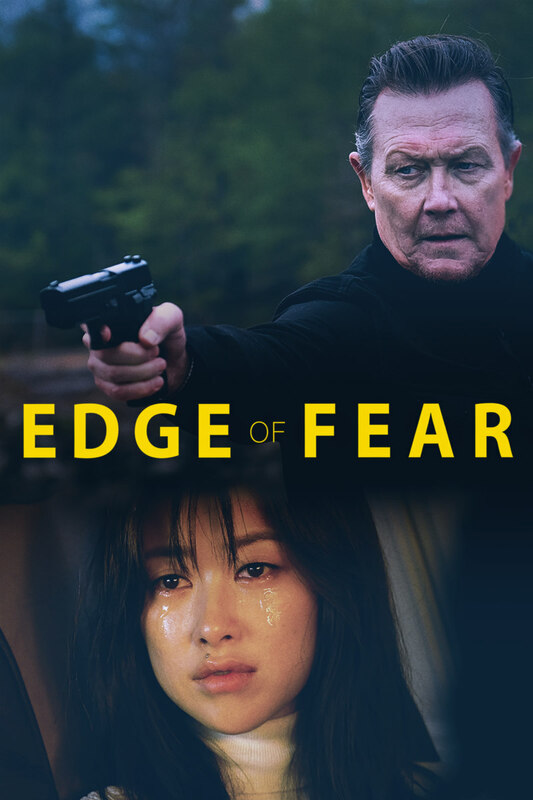 It’s like the mid 2000s all over again, and Edge of Fear matches the typically barefaced beats of its predecessor as Robert Patrick (for it is he) busts on to the bus with a gun and liberates T-Bag. Turns out that T-Bag (oh alright then, ‘Novak’) is a mob boss, and Robert Patrick, along with an improbably extended entourage of thugs, is here to save the big man and curry favour. Problem is, though, that after driving the bus full of convicts off a cliff (honestly), the bent guard turns on ‘em, and in the ensuing gun fight their transport gets all shot up. Where on earth could they hole up until their connection arrives?! With seemingly everyone involved primed to the punishing shooting schedules and unforgiving narrative rhythms of television, Edge of Fear is as tight as you like, and as Patrick sneaks about his house attempting to bump off the captors, rescue Laura and, crucially, not get caught, the scenes are so expertly structured to build tension and pace that you keep expecting commercial breaks or end of episode cliff hangers to bust on in at any moment. Yes, with its muted palette and filler lighting, the film does look very televisual too, but seeing as Edge of Fear is probably destined for the small screen anyway, the cinematography is perfectly suited. The acting is just great, too. I dunno, there’s just something about certain actors who reach a particular age and point in their careers. That stage where they are clearly happy to still be in work, and, you know, enjoying themselves. When Robert Patrick (it's not the pictures that got small, but him etc) and Robert Knepper have a scenery chew off, one is reminded of that bit which pseuds go on about in Heat, except the equivalent in Edge of Fear is actually good; with a pair of old pros with nothing to prove giving it pure pantomime, instead of a couple of hams gurning at each other across a table in a diner. Knepper is so watchable; he has the same sort of sinister charisma which inspires lonely women to write marriage proposals to convicted serial killers on death row. I’ve always thought he would make a great Joker if they ever made a straight, live action adaptation of The Dark Knight Returns. 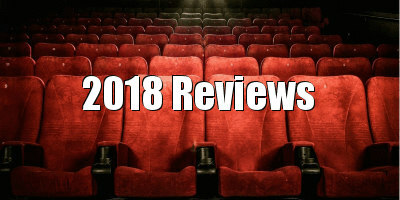 Until then, we’ll have to make do with roles like this, and films like Edge of Fear; enjoyable and involving thrillers that bide their time within the cells of streaming services, waiting for the right time and place to break out. Edge of Fear is on VOD October 8th.